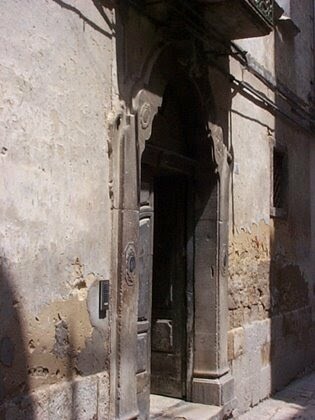 The history of Larino stretches back for eons of time into the dim recesses of human memory. This little community was already famous when Caesar was alive. Coleen McCullough, the Australian author (most famous, perhaps, for the Thornbirds) wrote a series of novels on Roman history in which she frequently mentions Larinum, the latin name for Larino. (See her novels: The First Man in Rome and Fortune's Favorites). The old town is rather like an island in a sea of cultivated land. 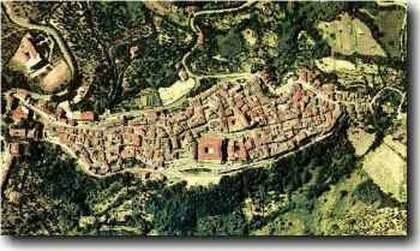 The surrounding valleys gave Larino its shape (like a wing) and preserved it from the worst ravages of modernity. Even today construction is carefully monitored and the town, after the earthquake of 2002, is being reborn in beautiful pastel colours. I can honestly report that the old centre of the town is being rejuvenated. The Palazzo Ducale has been renovated, the archeological museum is open, the Pilone Gallery is in place, and - in the summer - the atrium of the Palazzo is the site of many cultural events. Another remarkable feature of the town is the rebuilding and restoration of what was the first seminary for the instruction of priests (following the deliberations of the Council of Trent held between 1545 and 1563). Nearbye, in the Bishop's palace, right beside the Cathedral, a beautiful museum, housing a collection of religious artifacts, has been opened. There is a stunning cloister that evokes a gentler time. Marcello Pastorini and his colleagues have been arranging hikes in the vicinity. Marcello, a professor and artist, is a superb guide and his knowledge of the area is encyclopedic. 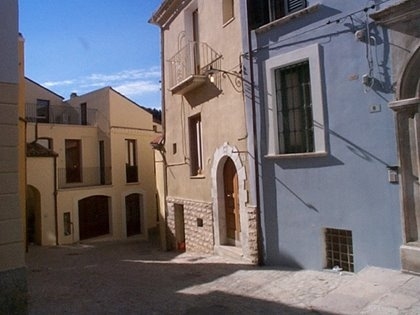 There is a new sensibility in Larino as a highly educated new generation takes on some responsibility for a community that deserves their investment. What we saw this summer (2016) fills us with hope for the future. Strangely, part of the renaissance is the appearance, in the old town, of several beautiful little bed and breakfast establishments. This past year I met a gentleman from a nearby town of Ururi. He emigrated to Germany with his family when he was nine. 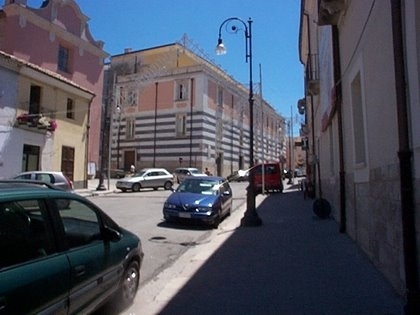 Now he has returned to Molise and has chosen Larino as the location of important investments in historical properties. This dedicated gentleman is lovingly restoring long ignored mansions to their original state. At the very outset, my wife and I wish to dedicate this site to Signor Igino Pilone. We' had always hoped that the Town would create a permanent collection of his photographs (and the photographs of his father and grandfather). We are happy to inform you that such a collection is now housed in several beautifully appointed rooms in the Palazzo Ducale. Our dear friend would be very pleased. At last he, his father, and grandfather, have been honoured in an appropriate manner. In general, the black and white images in this site are from Signor Pilone's collection, although some of the pictures are much clearer in the original rather than the electronic versions. 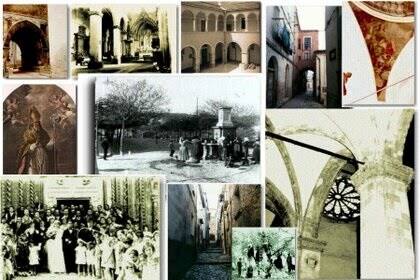 The contribution made to Larino by Signor Pilone and his father and grandfather is inestimable. Their work is a memory bank of the life of a town and all who have lived here. 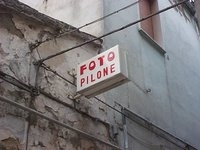 In fact, in his carefuly preserved archives it is likely that Igino Pilone has an image of members of your family. 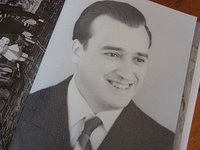 My dear friend, Igino Pilone, died during the Festival of San Pardo, in May of 2007. He would have been overwhelmed by the outpouring of love and affection demonstrated by his thousands of admirers. The service at the Cathedral had all the appearance of a State Funeral. He was, essentially, a kind and humble man who was totally dedicated to his community. The material is presented in sections which can be reviewed individually and will assist you achieve an impression of Larino/Larinum. Now you can begin your journey. To find out why Cicero, the great orator and contemporary of Julius Caeser, took such a great interest in Larino, look at the section on Via Cluenzio. Discover why Alessandro Dumas (the writer of The Man in the Iron Mask, The Three Musketeers) was fascinated by the story of The Child of Death. Look at the work of a living artist who captures images on Larino's past in the section dealing with the work of Sig. 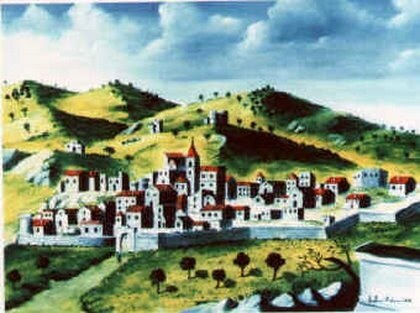 Antonio Ecclisse, titled An Artist'sVision. Find out why the saints, Primiano, Firmiano, and Casto, play so great a part in the religious life of the community. Learn something about the Cathedral and why some people feel that San Pardo continues to protect the community. Place Larino's story in the perspective of the history of Western Civilization in CHRONOLOGY. For an insight into the meaning of ancient Larino proverbs and folk sayings go to PROVERBS. Visit Larino's "Siberia", a town outside the walls.